Give your fundraiser or campaign an extra boost with buttons. Available in 1", 2" and 3" sizes and many more. 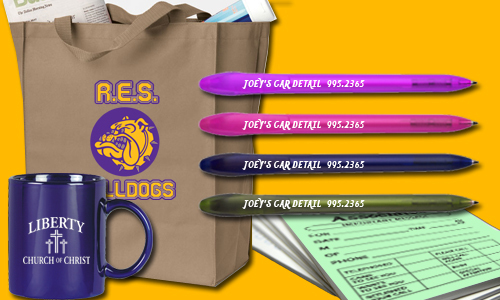 We can print on almost any promotional item. We specialize in small quantity orders so we have no minimums. This allows our customers to only order what they need. Feel free to call or email with questions about your many options. Examples of promo items include: mugs, pens, keychains, usb drives, mousepads, canvas bags, notepads, magnets, and much more!